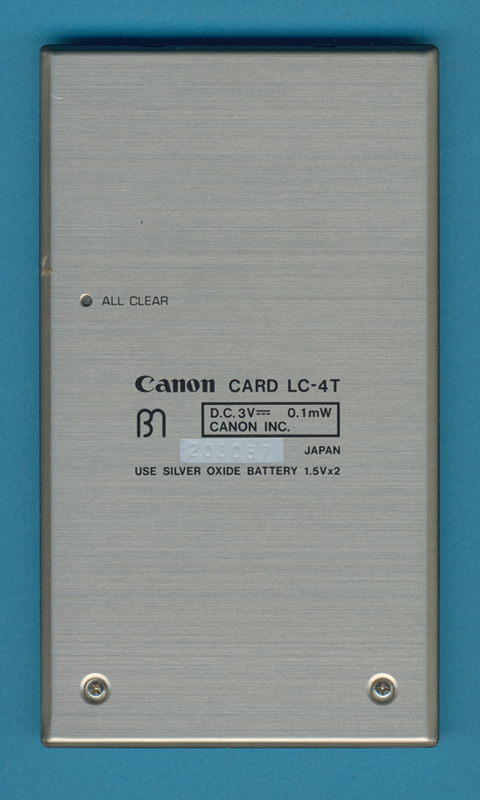 This Canon LC-4T was manufactured in 1980 in Japan. 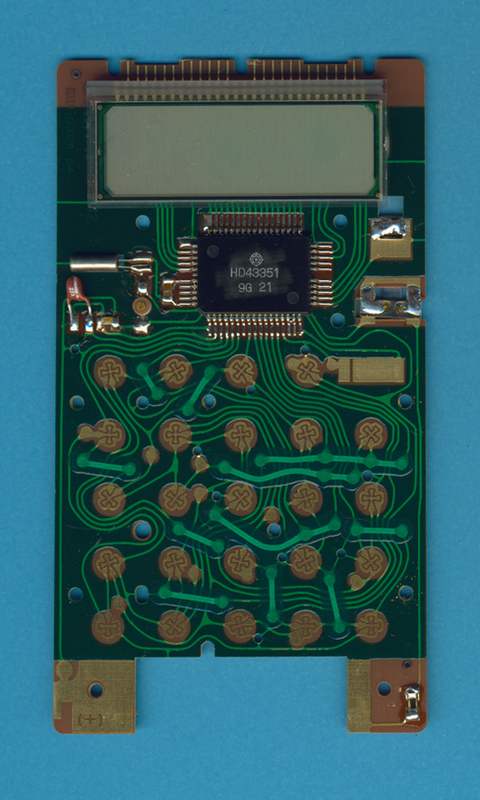 The single-sided printed circuit board (PCB) of the Canon LC-4T. 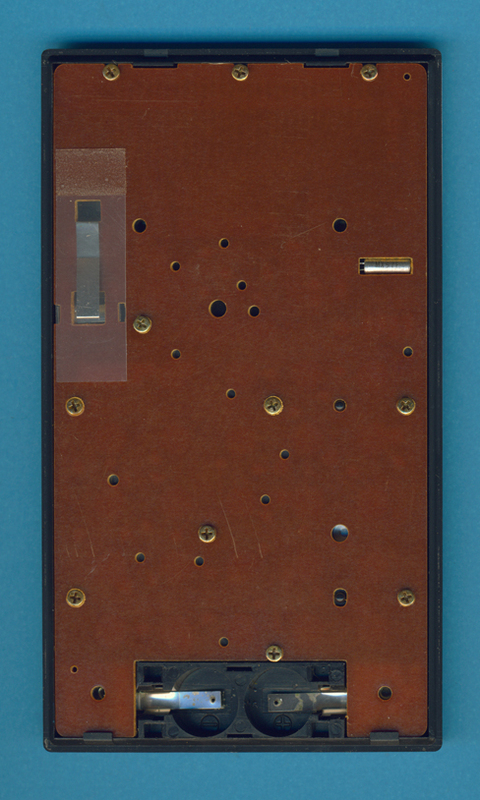 with a Hitachi HD43351 single-chip calculator circuit. © Joerg Woerner, December 12, 20102. No reprints without written permission.